"We don’t always think of faith and asking hard questions as things that go together, but what the Christian Study Center does is provide a space for people to come together and ask those really tough questions that in other contexts might be shied away from." ​​The Christian Study Center brings together students, faculty, and community members to explore the intellectual and cultural resources of the Christian tradition. Drawing on these resources we engage at the highest levels of scholarship in order to address enduring human questions and respond to challenges created by contemporary culture. 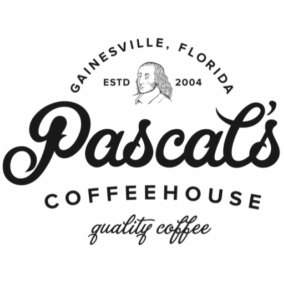 Pascal's Coffeehouse, as an initiative of the CSC, seeks to be an embodiment of a Christian understanding of work, craft, and relationships. For more information about other program initiatives of the CSC, or to find out more about the foundation underneath Pascal's Coffeehouse, visit www.christianstudycenter.org.